It has been many years since I read this book, but I really loved it. Also team Peeta for the win. Don't read unless you want little hints of absolute distopian future. The critical reader will find all sorts of juicy political commentary on current American affairs. I love this series. It's really dark but I really like the theme and the story and where Collins goes with it. One of the most brutal children's books ever, though. If you like action packed books, this one is for you! Something new and exciting happens each time you turn the page! Katniss supports her whole family with hunting animals in District 12, but everyone in the district is very poor. She makes a decision that could determine life or death, to save her sister. Read the book to find out what happens! This intense book will keep you on the edge of your seat until the end. In the future ashes of North America, a corrupt new government rules. Every year, a boy and girl from each district are chosen to compete in the Hunger Games. The winner recieves fame and fortune. The losers die. If there is anyone left out there that hasn't already read this series I would certainly suggest that they do. Katniss is a girl that appeals to all readers. Her inner strength, perseverance, and hunting skills will appeal to boys just as much as young female readers. I would use this book to discuss oppressive governments and some of the events that took place around the world that ultimately forced a revolution. This book is easily relatable to many of the revolutions that took place in Europe. Specifically France and the reign of terror under Robespierre. It shows how an oppressive government can take complete control and hold onto it until someone finally finds a way to stand up to it and organize against it. 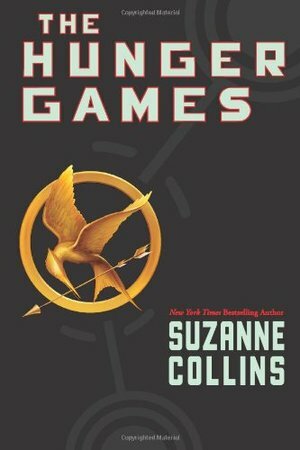 The hunger games is an excellent read that keeps the reader's attention from start to finish. Wow - I'm not a fan of Mad Max, The Road, or apocalyptic stories in general, but this book is really well written. It doesn't read like "juvenile" fiction at all (other than the protagonist being a young woman) and was completely suspenseful from start to finish. It has some politics mixed in, but nothing more controversial than the little guy vs. the powers that be in a very traditional revolutionary sense. (In other words, there are no hidden agendas here that I could spot one way or another.) I highly recommend this to anyone looking for a quick, exciting read! I'm on to the next one.